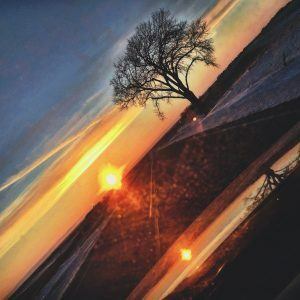 Photographer-artist Sarah Davis found a new angle and perspective on the “most photographed tree in Otter Tail County. 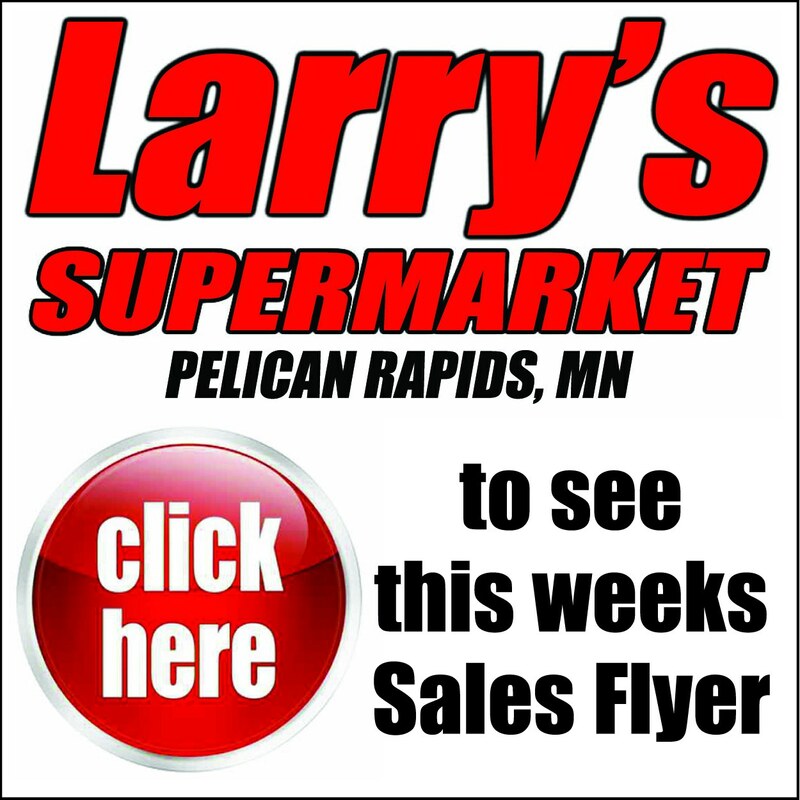 The tree, west of Pelican Rapids, is a familiar beacon at the gateway to the lakes area. 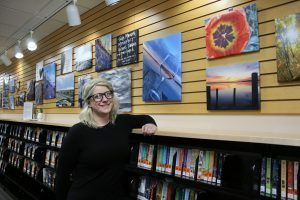 Vincent van Gogh said those words, and Sarah Davis, children’s librarian at the Pelican library, repeated them as a part of her art display at the library during the month of February. As children’s librarian, Sarah uses her imagination through displays in the children’s area and story time crafts. Her ideas cover the walls and hang from the ceiling. Everyone coming through the library admires the children’s area. She says that for years, her creative outlet, her art, was not for others to see, but for herself. Sarah’s art includes handwritten quotes on beautifully decorated paper, photographs–some on canvas and others on paper, and glittery ribbons reaching across space to tie objects together. “My photographs and word art are eclectic,” she explains. “They’re more about feeling, and they are all over the place.” The colors, the juxtapositions and the energy of Sarah’s work are infectious. When Sarah was little she had a business (called Sarah Mark) making cards out of construction paper. “It turns out homemade construction paper cards don’t pay the bills,” she says with a grin. The creativity that Sarah’s art has brought to the library – continuously in the children’s area and now in the exhibit area, is brilliant. Follow van Gogh’s advice. Stop by the library during the month of February and admire Sarah’s work.